BREATHTAKING VIEWS! Located in Buffalo County, WI, this 19.74 acre property offers breathtaking views over looking the Mississippi River valley and Winona, MN. 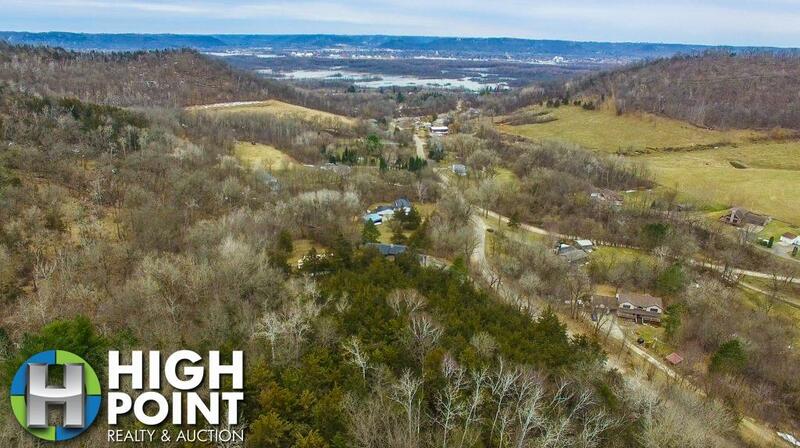 The property is located just minutes from downtown Winona and has a great buildable site looking over the valley below. Electric is located across the street for easy access and already has a driveway you can split off of for your own private drive. You could also hunt world famous, Buffalo County deer right out your back door! With lots of thick, south facing bedding you will have wildlife right in your yard. If you are interested in this great property, Contact Wisconsin Land Specialist Lucas Mestad at 507-696-6228 or Lucas@hpraa.com. Located in Grant County, WI this property offers great hunting and tillable ground opportunities. It is being sold as a whole or as several different parcels so you can get the dream farm that fits your budget. The property has several great building sites for you to build your dream country home. Grant River and the Mississippi River are just minutes away for fishing and boating opportunities. The property has countless great food plot locations and features beautiful open hardwoods. The hunting land currently rents for $9000 per year and the farm ground rents for $200-$260 per acre. The property is just 26miles from Dubuque, IA and 20 miles from Platteville. Property also has top and bottom access, has been well taken care of and the current owner is willing to rent back the tillable ground. If you are interested in this great opportunity contact Wisconsin Land Specialist Darrell Crapp at (608)558-6832 or Darrell@hpraa.com. 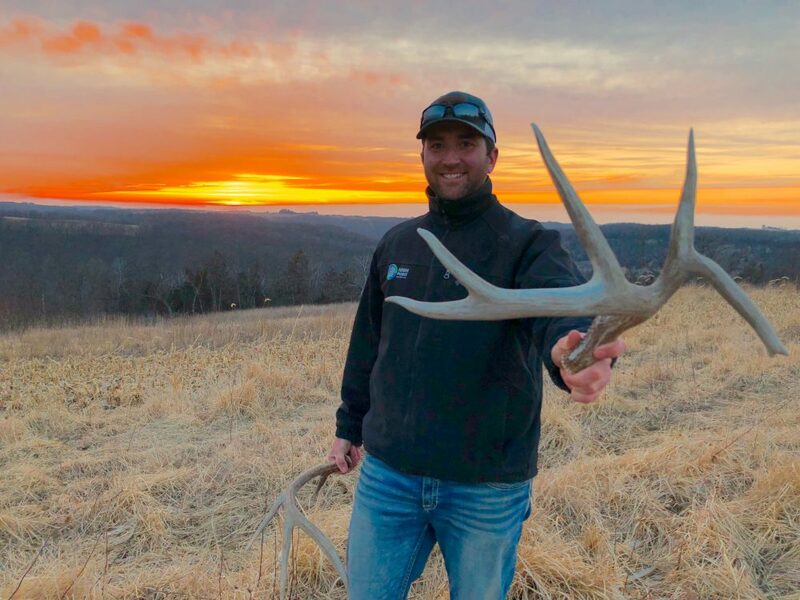 Located in Trempealeau County, WI just miles south of the world renowned Buffalo County which is known for it’s world class deer hunting, sits this beautiful 231 acres of first class hunting ground. You hear about properties where they say they have it all, this one truly does. The building site has the best view that the hill country of west central Wisconsin has to offer, facing south and overlooking La Crosse in the distance. You can see 30+ miles on a clear day! The property has 77 acres of good, flat tillable ground for income and offers several great food plot locations on smaller fingers cutting the several ridge lines that help make up this farm. The farm also has 155 acres of timber ground that is as good as it gets for deer and turkey hunting. 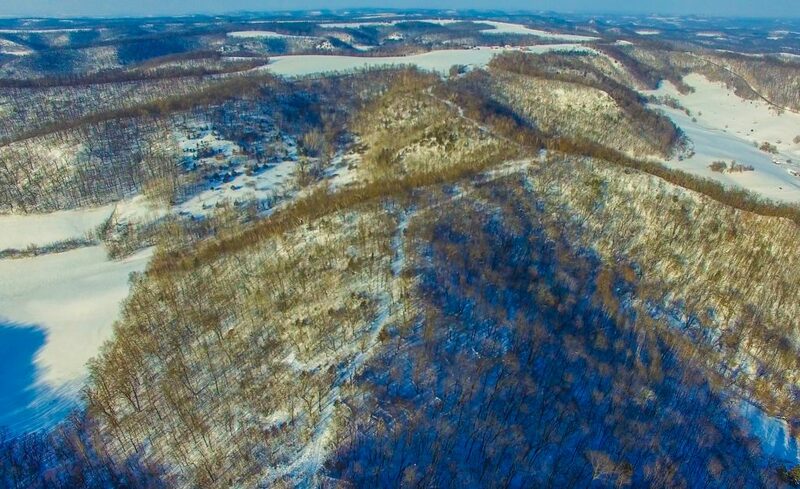 There are several cedar groves on south facing tops located right off food for perfect late season hunting (in the drone pictures/video you can see all the deer spread throughout the cedars and all the trails and thats with less than a 24 hour snowfall from the previous night.) The property has top access, north and south facing slopes for year round bedding, a great trail system, and an awesome history of record book deer taken on the farm and in the neighborhood. The property is also extremely secluded which helps keeping the deer low pressured. The barn is in great shape and has a maintained roof. The building site also has a nicer steel pole shed, another older pole shed, a 3 car detached garage and an old farm house. There is a well and electric ran to the building site. The driveway has an easement for the cell tower which is mapped out in the google Earth images. If you are looking for a dream property to make a lifetime of memories with your family and friends, contact Wisconsin Land Specialist Lucas Mestad at (507)696-6228 or email him at Lucas@hpraa.com. If you have been looking for a beautiful custom barn home with outbuildings, beautiful lawn, black top access and easy access flowing creek this property may be the one for you. 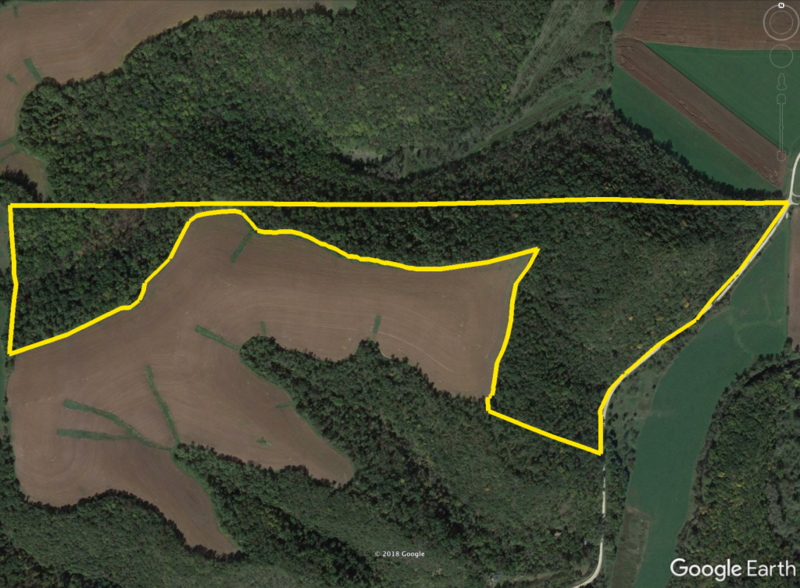 Located in the heart of big buck country, this 130 acres would make for a great hunting camp. The property has 20 acres of tillable ground for income potential. The property offers several great food plot locations, has a stream, and also has south facing hillside to help hold deer year round. The woods have logging roads through them to help access and enjoy the entire property. The back valley is extremely secluded and is a great place to hold and manage deer and turkeys. The home on the property features 1 bedroom, 1 bathroom, 2 car garage, kitchen and living room with breathtaking views overlooking the back valley. The house has a beautiful view overlooking the valley as well and would make for a great place to have family cook outs all summer long. The property is also only minutes away from the Mississippi for great fishing, boating and waterfowl hunting opportunities. The property is less than an hour from Rochester, MN, less than 2 hours from the Twin Cities and is right around the corner from Winona. If you are interested in this great property contact Minnesota Land Specialist Dave Walch at (507)421-0474 or Dave@hpraa.com. Buying Options- House and Outbuilding can be purchased with 40 acres, 60 acres, 80 acres etc. The remaining acres of 40 or more would be buildable with county planning and zoning approval. Call for details on options. Located in Hanover Township, Allamakee County, Iowa we are calling this farm the Allen Sanctuary. When you spend as much time on land as we do a truly special farm stands out. This 205.82+\-acres lays on both sides of Iverson Bridge Rd north of Waukon, IA and Decorah, IA and offers everything that the Driftless region is known for. 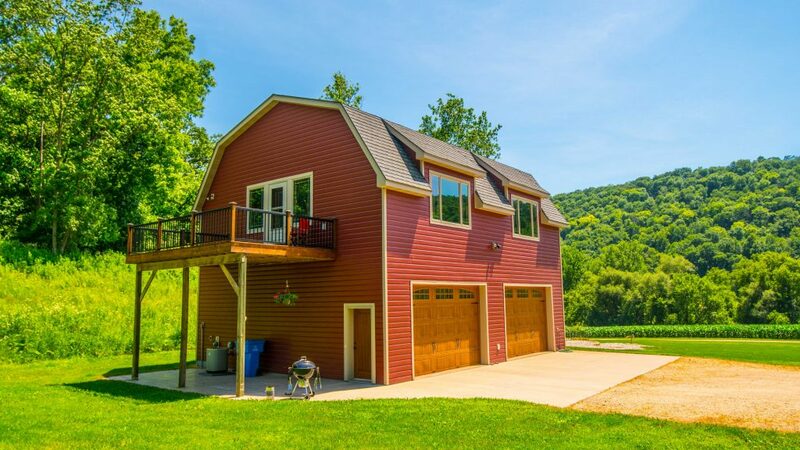 This property lays in a very unique place where you have multiple build-able locations SW facing offering stunning views of three massive valleys and beautiful sunsets set high above the Upper Iowa River. 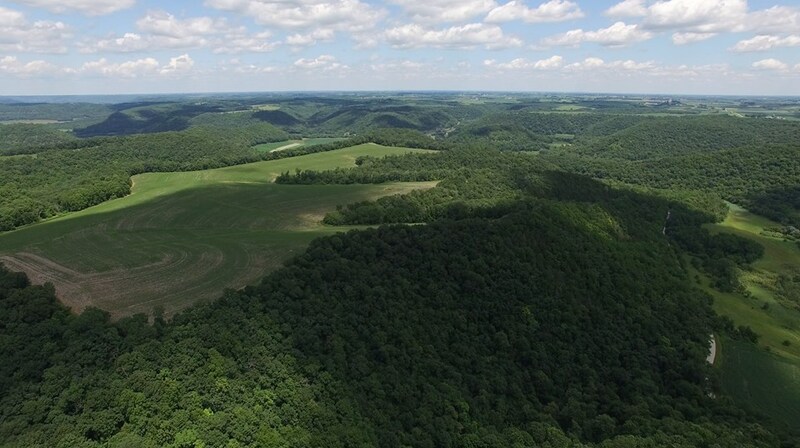 The property is located not only in Allamakee County but sought after the Hanover Township offering world class whitetail deer hunting with top shelf genetics, very large adjacent landowner tracts, and age structure management. The properties main south facing cedar ridge has excellent sun exposure to hold and refuge deer all year and lays perfect for hunting opportunities for any wind direction. The property also offer Upper Iowa River access for canoeing, kayaking, tubing and fishing with a nice place to pull off the road and park. The farm has 117 tillable acres with a long term tenant who has practiced respectful conservative farming practices. There is a lease in place for the 2018 growing season offing a buyer a great income stream or opportunity to add productive acres to an existing farm operation. Located in Winneshiek County, IA this 191.25 acre farm is something special. As you enter the property down a well maintained private end drive, North of Decorah, you end at a beautiful 4 bedroom, 4 bath, two story country home. The building site has a spacious yard, with many outbuildings, and has been maintained exceptionally well. The property has excellent top access with great exposure, and the tillable acres are wide open, in one primary, relatively flat field. The property offers excellent recreation opportunities with great deer and turkey hunting as well as great top access to Canoe Creek Wildlife area to the South. The farm has 135.52 registered crop acres, of which 15.46 are enrolled in CRP in two different contracts at $240 and $178.91 per acre annually. 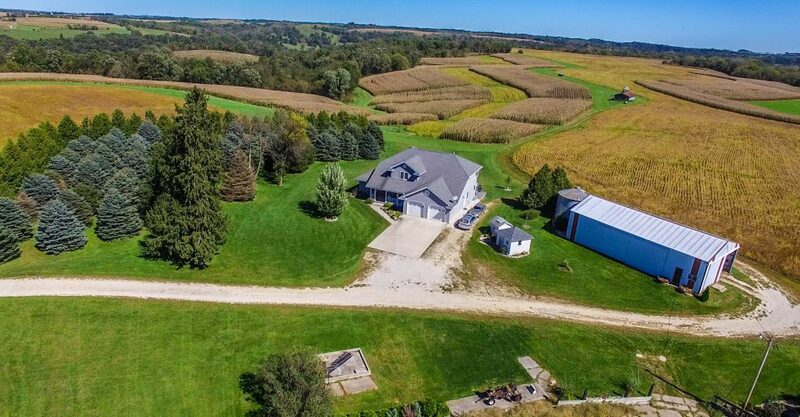 If you are interested in a beautiful, well maintained farm in Winneshiek County, IA for investment, hunting, or life in the hill county, this is a special one to check out. For a private showing contact agents Jacob Hart at 507-259-1065 or Nick Hopp at 319-240-6121. 135.52 registered productive crop acres. -Some photos taken on property may show neighboring properties. World Class Hunting!!! This 81 acres of deer heaven is located 7 miles from Caledonia, Minnesota, and just a short drive from downtown LaCrosse. The property is offered as an entirety, or as 2 separate tracts. Tract 1 is 88 acres of great hunting with an awesome ridge top that makes for a great stand location. This tract also is buildable for your dream country home or hunting camp. Tract 2 is 37 acres which features thick, south facing bedding that neighbors a great food source to the north. The hunting on this property is as good as it gets with an unbelievable hunting history. The property is located right above Beaver Creek and just a short drive to the Mississippi River for additional recreational opportunities. For more info on this great property or to schedule a showing, contact Minnesota Land Specialist Dave Walch at (507)421-0474 or email him at DAVE@HPRAA.COM. -Several Cedar thickets to hold deer all winter. Copyright © 2018 High Point. All rights reserved.